Today travellers, tourists and backpackers alike share the latest and greatest moments of their world travels across social media platforms with greater urgency and in greater numbers than ever before. With so many digital platforms offering a window into the world of that annoying friend catching tubes at Byron Bay, dining on the finest granola and chai breakfast bowl at their hinterland health retreat or blowing bubbles with Nemo on the Great Barrier Reef, the social currency of the moment is capturing your supposedly ‘average day’ in a unique way and broadcasting it to the world. A few years ago everyone seemed to be armed with a selfie stick when visiting tourist locations around the world. Then attaching a GoPro to your body was the only way to capture that moment as you threw yourself off a bridge/cliff/aircraft with only a bungee cord around your leg for safety. 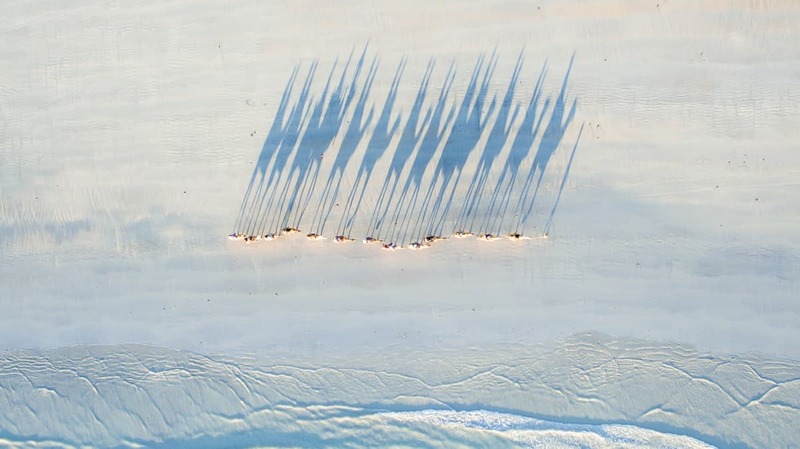 Fast forward to today and the inception of the drone (or UAV or RPA as they like to call them here in Australia) has become the digital storytellers go-to tool when it comes to capturing mind-blowing photos or video of that ‘where-I-am-is-so-much-better-than-where-you-are’ moment. In the last few months the cost, size and weight of drones has reduced drastically, the quality of their cameras have developed to those of cinematic proportions, and thanks to incredible sensors and GPS positioning they’re now easier to use than a Google self-driving car. All of this takes them from a world of exclusive top-end production companies, into the realm of the everyday traveller. The latest release from action-camera specialist GoPro, in the form of the Karma, and the Mavic from drone-gurus, DJI, have delivered truly portable, easy to use, phenomenally advanced filmmaking aircraft that can be thrown into a backpack and taken on your next international adventure. Taking a drone on holiday with you can seem like a great idea but with so many different rules and regulations imposed by the different states of Australia it’s not as easy as simply getting out your new-fangled flying machine and sending it up in the air to soar with the boobies (they’re the blue-footed birds found around the coastline). There are a set of nationwide rules laid out by CASA (Civil Aviation Safety Authority) – the government organisation who take the fun out of….sorry, police the skies above Australia, so keeping them happy is your number one priority. Keep your aircraft in visual line-of-sight i.e. not too far away and not behind buildings etc where you can’t see it. If you decide to upload your footage to YouTube, any other online video platform, website or social media channel and receive any commercial benefit from it, then you cross the line and become a ‘commercial operator’. This opens an entirely new can-of-worms, especially for overseas visitors. Applying for an ARN (Aircraft Reference Number) is compulsory, takes up to five working days to process and requires an Australian home address to register. Stage two requires you to give CASA five days notice of the state and region you’re hoping to fly in. Perfect for residents, not so great if you’re here on holiday. If you’ve just arrived on a plane for a short holiday then what do you do? Fly as a recreational user, don’t try and make any money out of the footage and you can take-off within minutes of landing on Australian soil…assuming you’re at least 5.5km from an airport of course. One destination backpackers and tourists flock to is Fraser Island in Queensland. 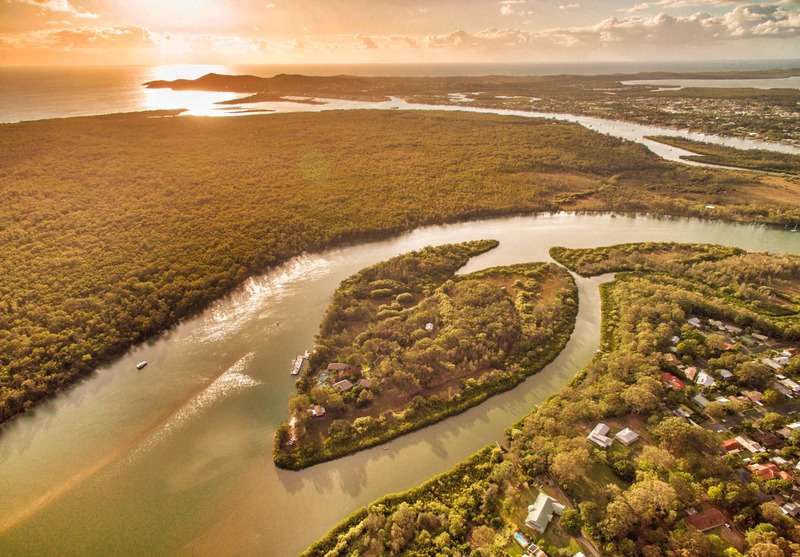 If you want to fly there, stay at least 5.5km from the landing strip on 75-mile beach and the same distance from the resort helipads and you’ll be ok.
Over rivers, lakes and the ocean if you’re brave…or stupid enough! Uluru (Ayres Rock) – you’ll see signs everywhere warning you that the area is a culturally sensitive place for the Aboriginal people. Respect it and keep your drone in the box. If you do want to see some incredible footage of the famous red rock, the team from Grainger Films, were granted special permission to film a one-off. 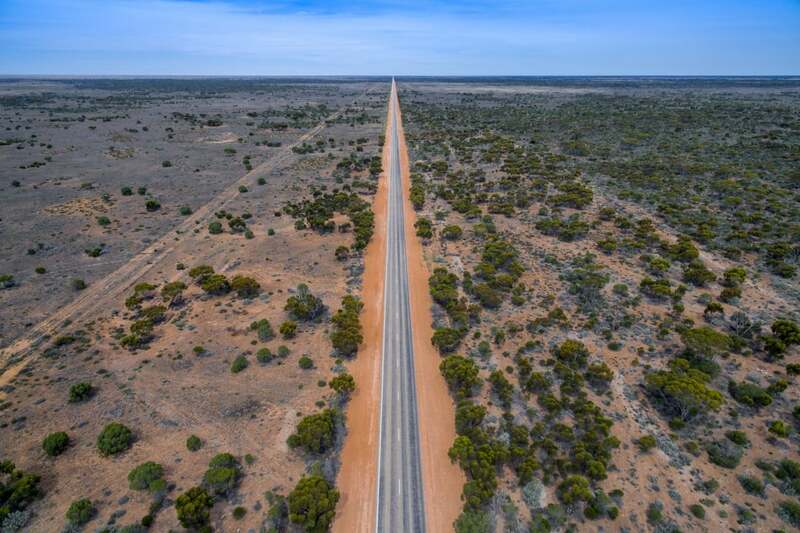 World-First Drone Filming of Uluru from Grainger Films on Vimeo. Don’t fly anywhere within 300 metres of whales or dolphins (500m if you’re in Queensland waters and you’re following the famous white whale – Migaloo). It’s not worth the fine you’ll cop if they find your footage online! If you’re thinking about filming anywhere with lots of people i.e. a festival, at the beach, over a sports event – then think again. Although the likelihood of a malfunction being very unlikely, if anything does go wrong and your drone smashes into a group of people, not only will you have to foot the bill for a new machine, but probably a few facial reconstructions at the same time. Stay away from crowds. WHAT ABOUT FLYING IN A NATIONAL PARK? WHAT ABOUT TAKING MY DRONE ON TOURS? 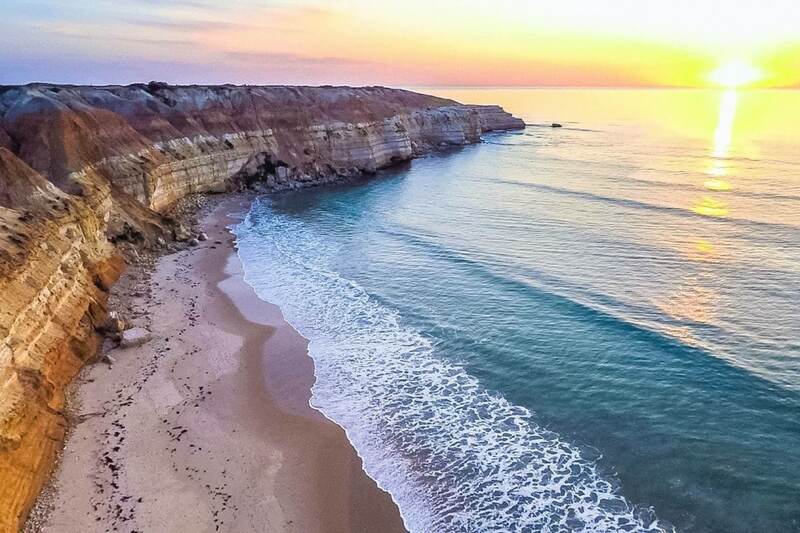 We spoke to a few different tourism operators around Australia to gauge their reaction as there seem to be a few differing opinions. The best bet is to contact your tour operator a few days in advance so they can make a decision with their management team. 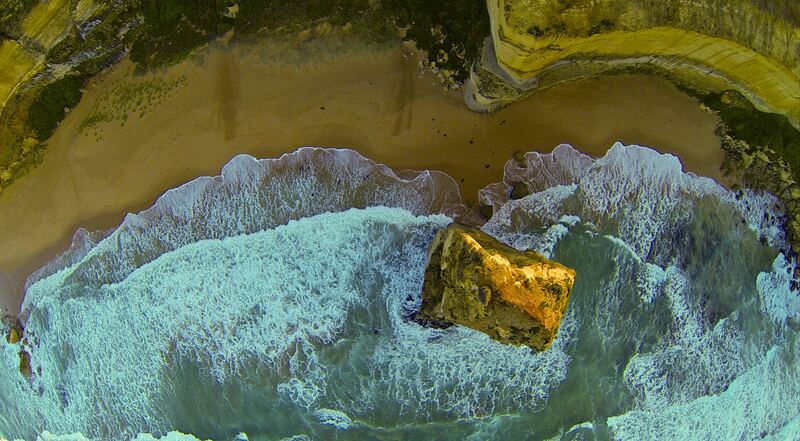 Don’t turn up assuming you can use your drone! To find out more information have a look at this blog post I wrote on Adventure Free Tours website. HAMERSLEY | a pilbara aerial film from Dan Proud on Vimeo. Adding a drone to your arsenal of film and photographic equipment is a must, when it comes to digital storytelling. 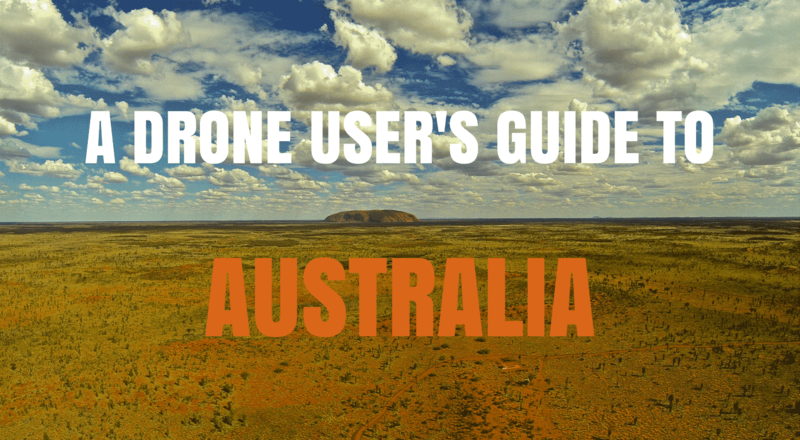 Have you bought a drone to Australia and used it? Share your thoughts, stories and images below. Happy flying!